Oh my, time is going so fast! 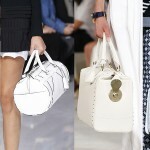 It is already the 8th of the 8th and that means that it is high time for the August Bag Crush! I have spotted some really nice models on Instagram lately but these three ladies carried my absolutely favourites!! They are all perfect for summer, exclusive and chic in a very fun manner. 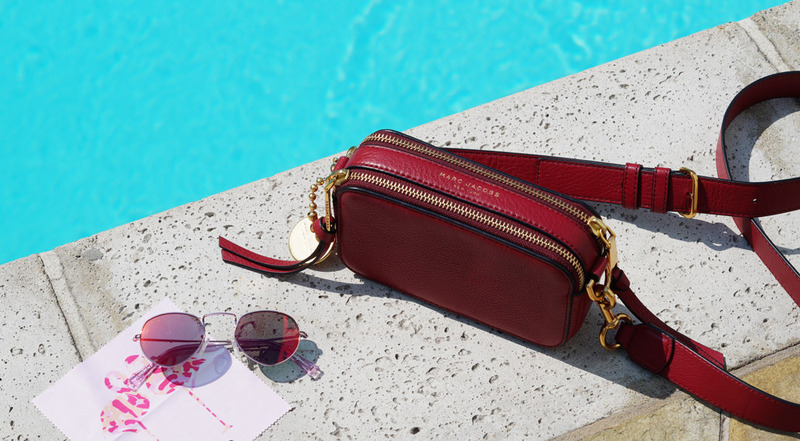 Which bag is currently on top of your wishlist? Please let me know in the comment-section below! 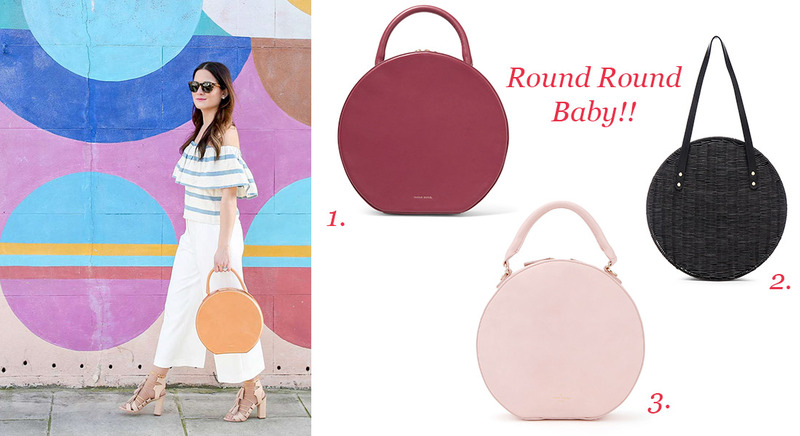 Jennifer Lake from Style Charade is carrying a circle design by Rachel Mansur and Floriana Gavriel. This round design is inspired on the classic hat bag silhouette (see more in this article: Hat box bags). Don’t you think that this circle tote is perfect for your every day life as it adds a trendy touch to any of your looks? 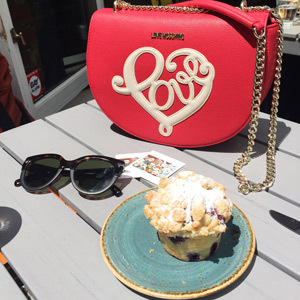 How I love this look by Blair Eadie from Atlantic // Pacific who is carrying an iconic Chanel Boy Bag. 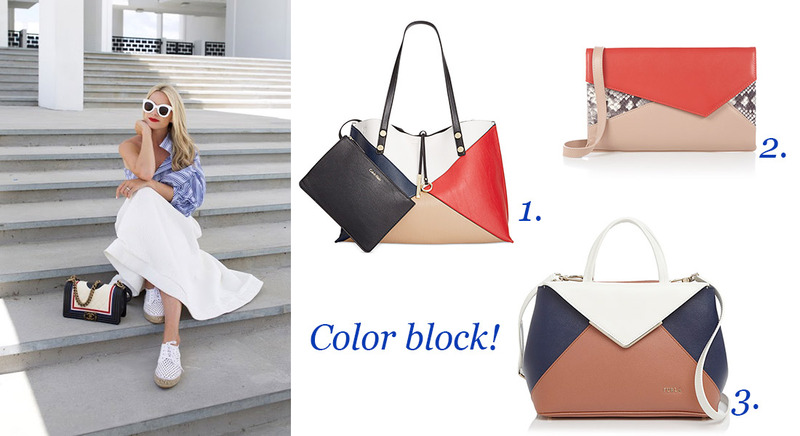 I absolutely love the color block-print as I think it increases the chic factor. Not ready for a ‘Boy’?! Make sure you check out these great alternatives! Don’t we?! As you know I am a huge fan of the blog Color me Courtney. As from the first moment she first showed this Pretzel Bag on Instagram, I was sold. 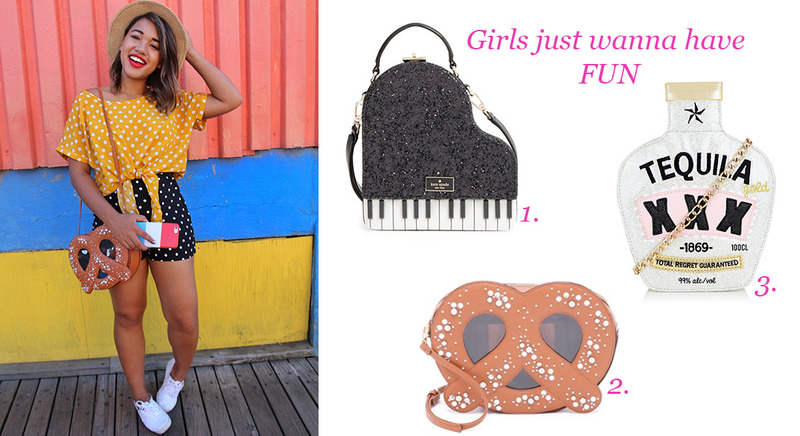 You really need a super quirky bag in your wardrobe as it assures the perfect pop to any outfit. The little glisters secure the elegant touch as you ladies just wanna have fun! P.s. You might also like The benefits of travelling with a woman friend & Casual Street Style look in New York!